Join the Chop Suzies Collective this coming Friday, August 9th, as they present Agak, Agak, Hawk!, a unique event that promises street food, stories, salad roll shenanigans, serious sauce-mashing, and more! 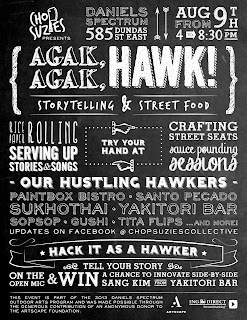 More than just a street food event, Agak, Agak, Hawk! aims to make this a truly interactive experience, as festival goers are invited and encouraged to craft their own street seating, scrawl interactive stories along their art wall, and take part in the making of old and new food traditions from the heart, like learning to roll fresh salad rolls or making sauces the old-fashioned way. There will also be a “Hack It as a Hawker” contest, which will feature an open mic format of storytellers who can win the chance to work with Sang Kim, the man behind Yakitori Bar and an award-winning storyteller and author in his own rights. Joining the Chop Suzies Collective will be unique vendors like Paintbox Bistro, Tita Flips, Santo Pecado, and Sukhothai, amongst others, who will be hawking their own delicious dishes. Come down to Daniels Spectrum with an open mind and an empty stomach, and learn how engaging with our food through people and stories will change your relationship with how we eat and what food really means to us. 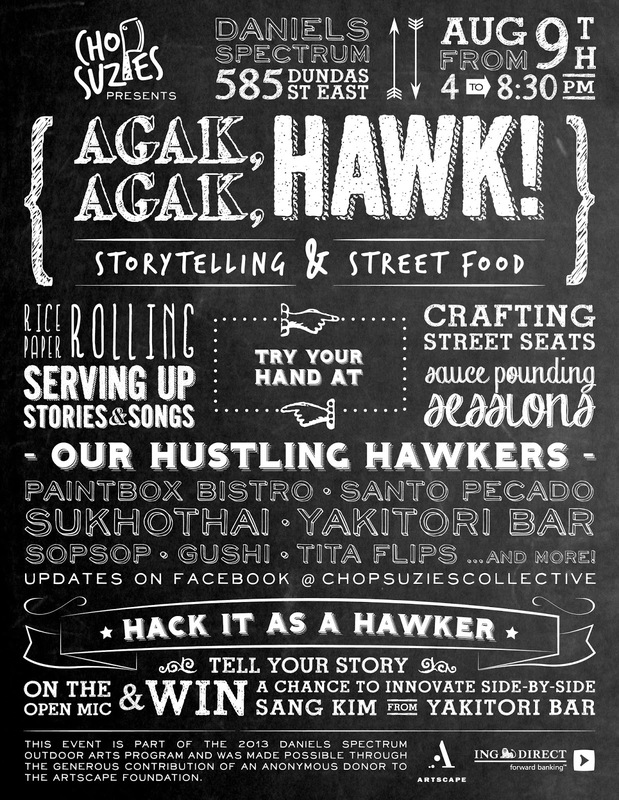 So bring your appetites and hawking skills, and get ready to get a little agak, agak with the Chop Suzies Collective! 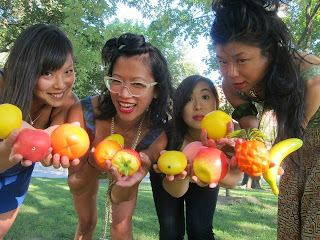 Follow Chop Suzies Collective on Facebook or on Twitter for all the latest updates on Agak, Agak, Hawk! Event is FREE. Dishes from each vendor will be individually priced. pinstripeprincess August 5, 2013 at 6:22 p.m. Thanks for the write-up Bon!